Dozens of doctors from Ethiopia and neighbouring countries recently participated in a practical course, the first of its kind, which trained them to fix pediatric orthopedic deformities. The course, held for the first time in Africa, was led by Prof. Mark Eidelman, director of the pediatric orthopedics unit at Rambam’s Ruth Rappaport Children’s Hospital. Fifty doctors participated in the four-day course. Some of them had already completed their internships, while others were still interns. They attended lectures about different treatment types, attended workshops and participated in surgeries. The Black Lion Hospital in Addis Ababa, Ethiopia, hosted the course, which was sponsored by CURE International. 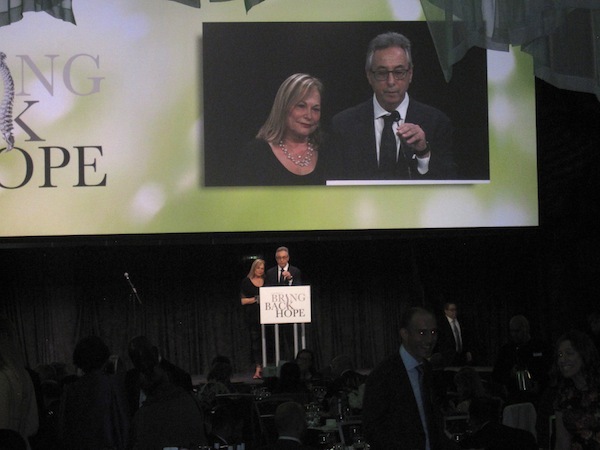 CURE is a nonprofit organization that assists children in developing countries suffering from medical issues, in cooperation with POSNA, the Pediatric Orthopedics Society of North America. The Ethiopian hospital’s pediatric orthopedic services are directed by two doctors from England who relocated to Ethiopia several years ago. The doctors created the course in order to give treatment tools to local medical teams dealing with one of the most common problems in the country. Joining Eidelman on this recent mission were two doctors from the United States: one who was Eidelman’s teacher, Prof. John Herzenberg, a senior doctor in the field from Baltimore; and Prof. Christof Radler, who is also renowned in his field. The Ethiopian aliyah to Israel inspired people around the world when it was first revealed in the 1980s. Today, there are 125,000 first-, second- and third-generation Israelis from Ethiopia. The story of the courage and determination of the community to return to Eretz Yisrael after 2,000 years of isolation from the rest of the Jewish world is told in the beautiful children’s book Yerus Goes to Jerusalem. About a young girl’s experience making the difficult journey from her village in Ethiopia, the award-winning book, written in Hebrew and illustrated by Ethiopian artist Moran Yogev, is well known to thousands of Israeli students and their parents. A new crowdfunding campaign will translate it into English, to make it accessible to Jewish schoolchildren everywhere, so they can share in the triumph of the Ethiopian community in achieving their dream. Everyone is invited to join this venture with a donation of any amount, large or small. Only $20 will reserve one of the first copies of Yerus Goes to Jerusalem published in English for your children, grandchildren or your synagogue or Hebrew school. This campaign is led by Dror Yisrael, a service organization in Israel, and a committee of organizers, mostly in Israel and the United States, including Sid Tafler of Victoria, the only Canadian on the committee. To donate to the crowdfunding campaign, which ends Dec. 1, and for more information, visit jewcer.org/project/yerusgoestoyerusalem or facebook.com/yerusgoes. For the options of how to donate after Dec. 1, email Gilad Perry at [email protected]. The 29th of the Hebrew month of Cheshvan – this year, it fell on Nov. 30 – is a day of celebration for the Israeli Ethiopian community and a national Israeli holiday. Late in the afternoon, thousands of people gather in Talpiot (southern Jerusalem) on the Haas Promenade for Sigd, the day marking the acceptance of the Torah, and celebrating their history and culture. Despite the enormous loss of life and the discrimination faced by Israelis of Ethiopian descent, Sigd still is, in part, a prayer to make it possible to reach Israel. The Knesset legislated the Sigd Law in 2008, which made 29 Cheshvan a national holiday. The Knesset also legislated 28 Iyar (the Hebrew month that falls roughly in May) as the memorial day for community members who died making the journey to Israel. And, the year prior, in 2007, the Israeli Ministry of Immigration and Absorption in cooperation with the World Zionist Organization and the Israeli Defence Ministry unveiled a memorial to the more than 4,000 Ethiopian Jews who died attempting to reach Israel. 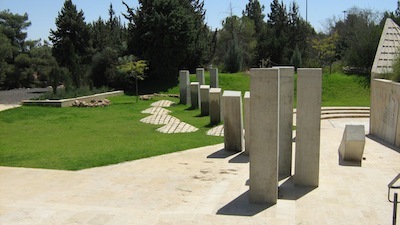 Located on Mount Herzl, this stirring monument gives official recognition to the community’s largely unknown suffering. Until it was commemorated, the only existing monument stood in southern Jerusalem, at Kibbutz Ramat Rachel. Starting at the end of 1979 and continuing for some four years, the Ethiopian Jewish community uprooted itself en masse to fulfil its dream of coming to Israel. It was both a physically exhausting and mentally terrifying journey. In Ethiopia’s forests and Sudan’s deserts, thousands were robbed, beaten, raped and even murdered. If there are graves for the fallen, they are far away from Eretz Yisrael. The Mount Herzl memorial reminds visitors not just of the Ethiopian villages, but of an entire life left behind. Explanations are mounted in Amharic, Hebrew and English. In Hebrew, eight panels dramatically narrate 1) the exodus from Ethiopia from a boy’s perspective, 2) the events along the way, as explained by the group’s head, 3) life in Sudanese refugee camps, from a mother’s recollections, and 4) the actual departure for Israel, as related by the kes, or religious head of the community. To learn more about Ethiopian Jews’ journey to reach Israel, Baruch’s Odyssey: An Ethiopian Jew’s Struggle to Save His People by Baruch Tegegne, as told to Phyllis Schwartzman Pinchuk, and the children’s book The Storyteller’s Beads by Jane Kurtz are recommended reads. As for movies, there are Mekonen: The Journey of an African Jew, directed by Rivka Shore; Live and Become, directed by Radu Mihaileanu; Zrubavel, directed by Shmuel Beru; and Yiftach’s Daughter, directed by Einat Kapach. 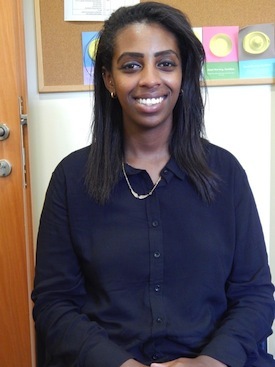 Every second year, the Jewish Federation of Greater Vancouver hosts two Ethiopian students from the Interdisciplinary Centre in Herzliya. This allows the students to come to Canada and intern in their chosen fields, giving them not only the educational experience but an advantage in finding work after graduation. The students also act as ambassadors for Israel while in the community and interacting with various local groups. This year, Federation hosted Mazal Menashe and Ahuva Tsegaye. While in Vancouver for the month-long internship, the students stayed with host families Sam and Sandra Reich in Richmond and Ben and Nancy Goldberg in Vancouver; they spoke at synagogues, churches and schools. In 1991, when Operation Solomon airlifted 14,325 Ethiopian Jews to Israel in 36 hours, Menashe and Tsegaye were babies. Tsegaye’s mother, who was a midwife, gave birth to her alone on the way to Addis Ababa for the airlift, on the outskirts of Gondar. Menashe, granddaughter of Qes (Ethiopian for rabbi) Menasse Zimru, was born in Addis Ababa while her mother and father awaited the Israelis. Menashe and Tsegaye both grew up in Israel, overcoming poverty and occasional racism to become successful young women. Upon arriving in Israel, Tsegaye’s family lived first in Jerusalem, then Haifa, then Kfar Hahoresh in the north and, finally, Migdal Haemek, where they still live today. Her mother is a homemaker, and her father, who works for the city as a street cleaner, is now semi-retired. Menashe’s family first moved to an absorption centre in Mabu’im in the south, near Beersheva. They lived there for a year before moving to Netivot, where they stayed until Menashe was 6, and then to Ashdod, where they live today. Her mother is a caregiver for the elderly and her father works in a factory. Both Menashe and Tsegaye served in the Israel Defence Forces. Menashe was drafted to the IDF in 2010, and completed training in the Logistics Corps as an outstanding soldier. After serving in the Paratroopers Brigade for two months, she was asked to go into officers’ training, which she did, becoming responsible for a company of 150 soldiers. When she was released from the army after five years, it was with the rank of lieutenant. Tsegaye served for six and a half years, the only member of her family to become an officer. She served in an air traffic control unit in the air force as an instructional officer, and completed her service with the rank of captain. 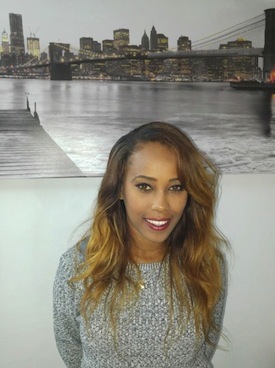 “Serving in the IDF was the most empowering experience of my life,” said Tsegaye. Menashe agreed. Menashe and Tsegaye didn’t meet in the IDF, but rather at the Interdisciplinary Centre, where they are both enrolled. In August, Jewish Federation brought them to Vancouver to work as interns in their respective fields: Menashe in law and Tsegaye in organizational psychology. 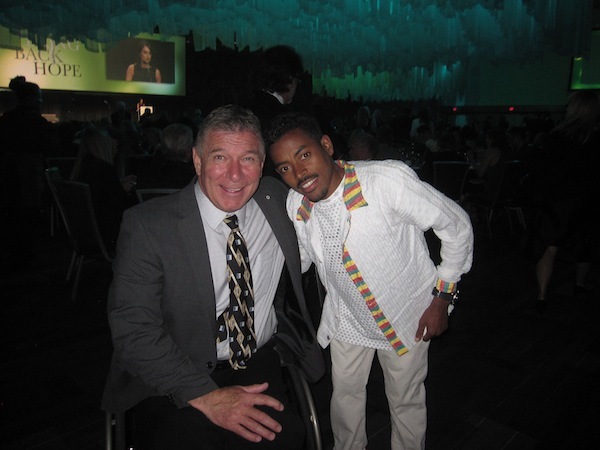 Both Menashe and Tsegaye have faced many challenges to get where they are now. Ethiopians in Israel face racism, poverty and challenges related to cultural and linguistic integration. The two students were both present at the mass protests that took place in Tel Aviv and Jerusalem last year calling for an end to racism and police brutality against Ethiopian-Israelis. For community members wanting to support Jewish Federation programs such as this one, the annual campaign runs to Nov. 30. For more information, visit jewishvancouver.com.